There are places you expect to find a Škoda, and places you don't. European streets, for example, fall squarely into the former category. Dried up lake beds in the United States, however, belong firmly in the latter. But someone forgot to tell that to the people who make the Czech Volkswagen derivatives. In between ripping the top off the Fabia for the Wörthersee show and preparing to enter the British Touring Car Championship, that cadre of lead-footed Škoda personnel announced their intention to take the Octavia to the slat flats at Bonneville. 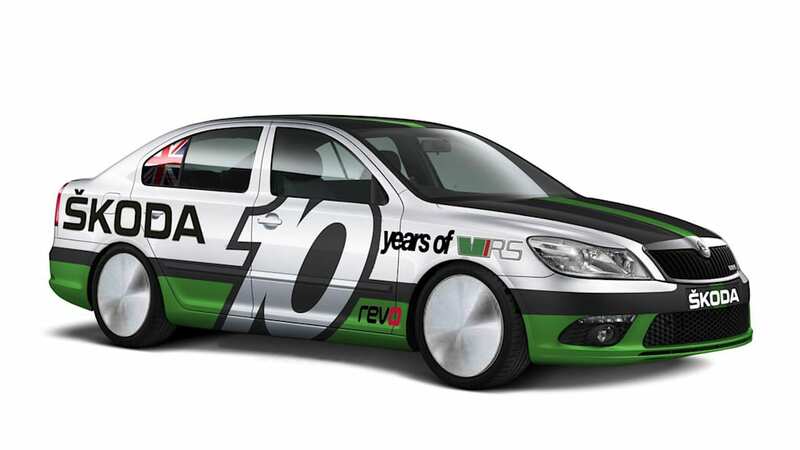 The occasion was the tenth anniversary of the automaker's vRS performance brand, and while their target – breaching 200 miles per hour – may have seemed distant to anyone who's ever sat in the old Jetta with new clothes, they got theirs. 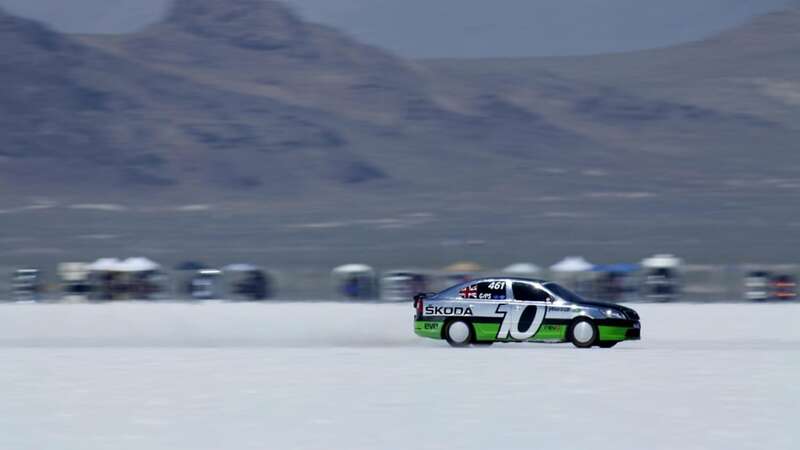 The world's fastest Škoda achieved an official run of 202.15 mph four days ahead of schedule at the [currently ongoing] Bonneville Speed Week. The Octavia vRS with which they did it was aerodynamically optimized, dropped closer to the ground, reinforced with a roll cage and other safety equipment and fitted with a larger turbocharger and intercooler. Otherwise, however, it's the same Octavia vRS available at dealers overseas. 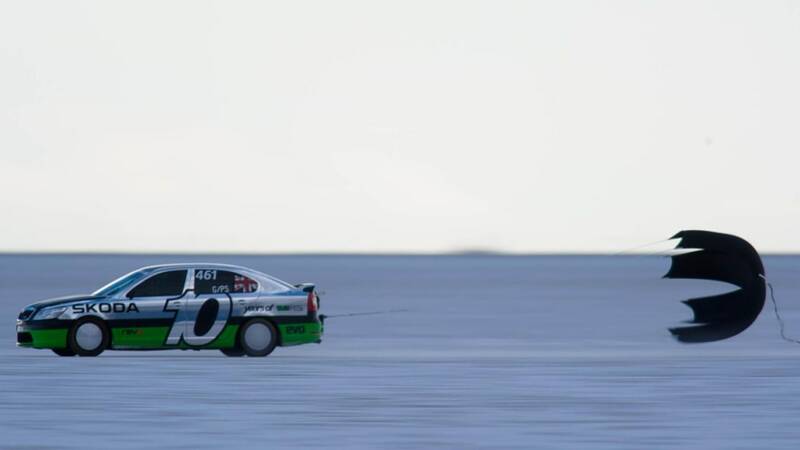 Far from calling it a day and heading back to the Czech Republic, Škoda's Bonneville team are sticking around in pursuit of the 2.0-liter production car land speed record, which currently stands at 216 mph. We'll be watching, but in the meantime you can follow the jump for the full press release and scope out the images in the gallery for more. 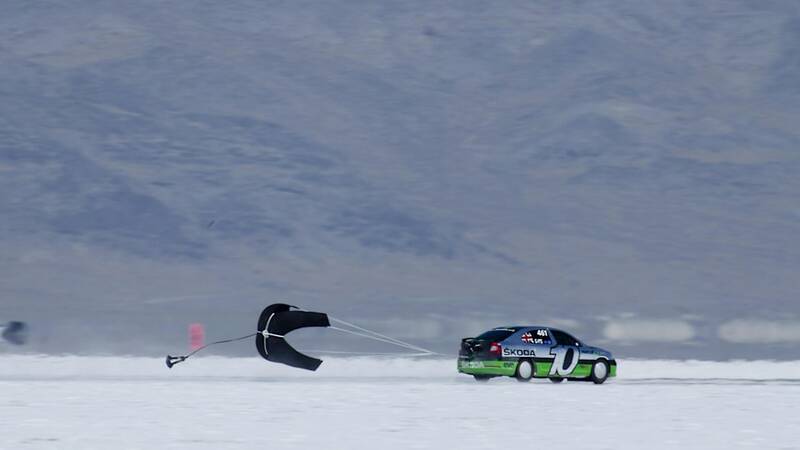 ŠKODA's Octavia vRS has become the latest member to join Bonneville's legendary 200 mph club. The 500 bhp 'salt spec' challenger – built to celebrate the 10th anniversary of the iconic vRS performance flagship badge – pushed its way through the 200 mph barrier, four days ahead of schedule. In doing so the car, dubbed the 'vRS Bonneville Special', has become the fastest ŠKODA ever. The Octavia vRS achieved an impressive 195.69 mph on its first run of the day. On the car's sixth official outing at Bonneville Speed Week (13-20), the Octavia vRS propelled itself to an impressive 202.15 mph. Ahead of the event at the world famous salt flats the brand's UK technical team – who prepared the car in Milton Keynes - arrived in Salt Lake City, Utah to finalise months of hard work and preparation. In an environment where bhp is king and traction loss is your nemesis, the car underwent a rigorous dyno programme with the assistance of performance software and tuning outfit specialist REVO Technik. Driven by journalist Richard Meaden, the Octavia had demonstrated its potential on Sunday (14 August) as it powered its way to 191 mph securing all four speed licenses required before heading to the magical 200 mph barrier. Robert Hazelwood, Director for ŠKODA UK, said: "Months of rigorous planning, testing and preparation have all been worthwhile. At 13:24 on Monday 15th August, we took our Octavia vRS past the 200 mph barrier. The entire team has done an outstanding job. Our special thanks go to Richard on an incredible drive. 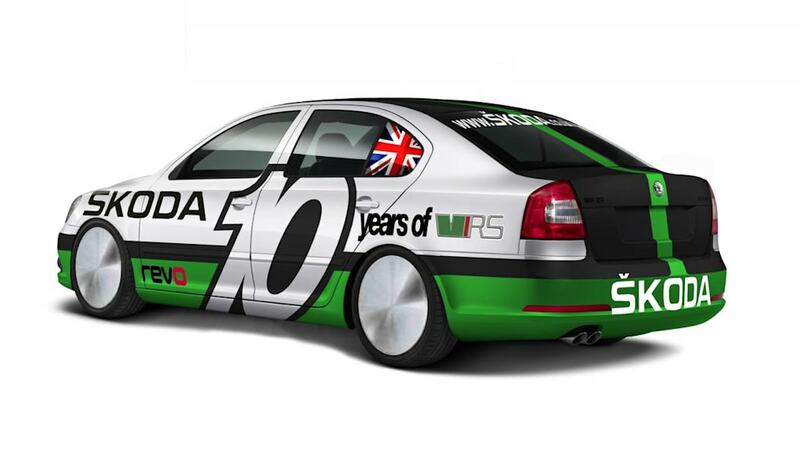 "This marks another exciting milestone in the brand's motorsport achievements and is a great way to celebrate 10 years of the vRS range and commemorate 110 years of ŠKODA's participation in motorsport." With four days remaining the team is now focusing their efforts on closing the gap on the 2.0-litre production car record which stands at 216 mph. The car is a factory-fresh production Octavia vRS, with some changes made to improve aerodynamics and performance. That includes lowering the ride height to run almost 80mm closer to the ground and a new sub-frame which houses a race prepared intercooler. It retains its production-standard 2.0-litre four-cylinder TSI petrol engine, with the standard turbo replaced with a large unit from respected component firm Garrett. Generating over 500 BHP, and producing 30+ PSI of boost pressure, the Bonneville Octavia vRS drinks high-octane race fuel (with water methanol mix)rather than unleaded petrol. The unique racer has been built to stringent Southern California Timing Association (SCTA) safety regulations, which means a reinforced roll cage, parachute, fire extinguishers and window cage. Since its launch in 2001, vRS has captured the hearts of UK motorists who enjoy the thrill of sports car driving. Since then, the UK has become ŠKODA'slargest market for the Octavia and Fabia vRS with more than 12,000 cars sold since launch.